I’m a pushover for summer desserts – ice creams, pies, cobblers – you name it, however, cake as a rule doesn’t make it into the top ten. 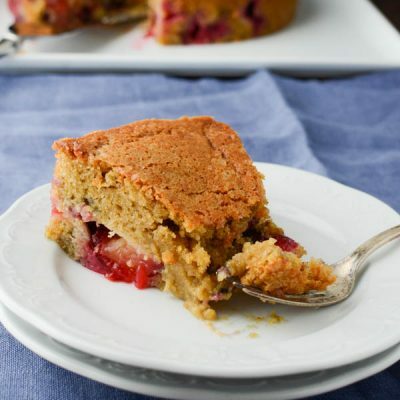 The idea of making batter, baking it, waiting for the cake to cool, then making frosting and using my arguably rudimentary skills to decorate it… it just seems too fussy for an August day This Brown Sugar Cornmeal Plum Cake is the exception. 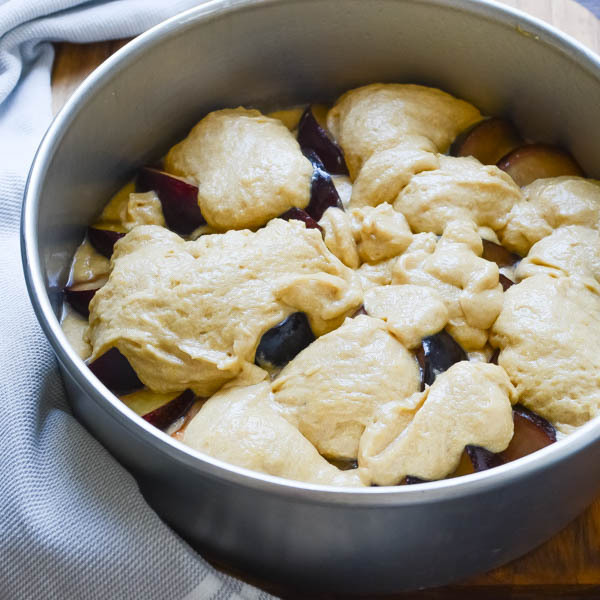 This is just making a batter, filling it with ripe plums and baking. Easy-peasy and really delicious. 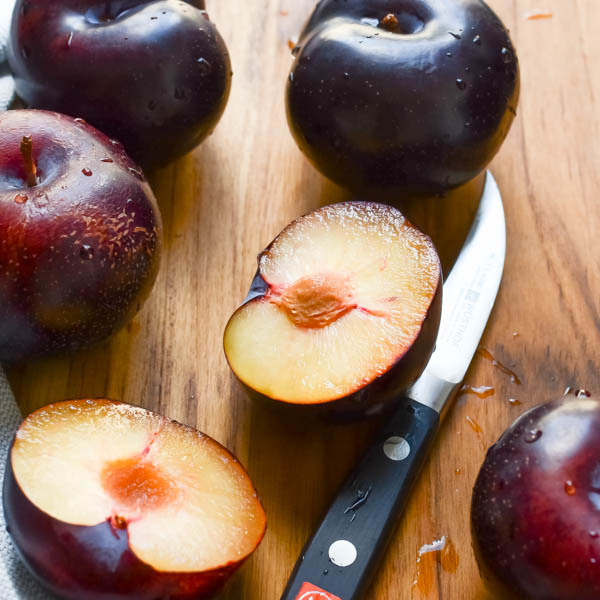 Summer plums have that puckery sweet-tart flavor. They’re juicy and absolutely yummy — but even better enrobed in an delicate cornmeal cake. 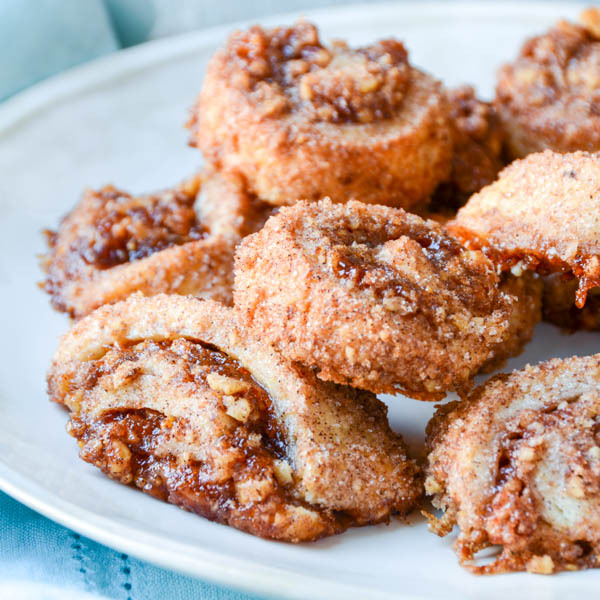 The batter with brown sugar and cinnamon lends an even richer flavor. And it doesn’t require any special embellishment. At all. Which moves it from “not on the top 10 list” to the head of the pack! 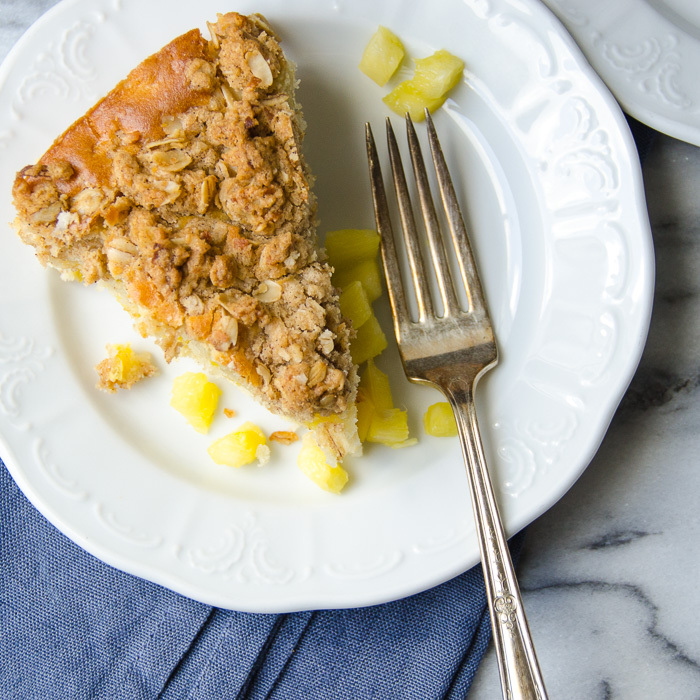 This cake also straddles the line between coffeecake and dessert. Perfect for brunch or delicious after dinner with a scoop of vanilla or a dollop of whipped cream. 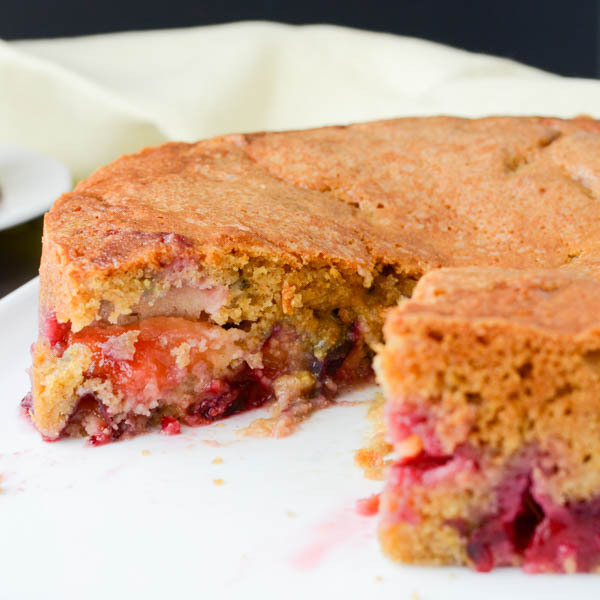 The best part for me is the interplay of the brown sugar cornmeal cake and the tart, jammy, oozy goodness of the plums. 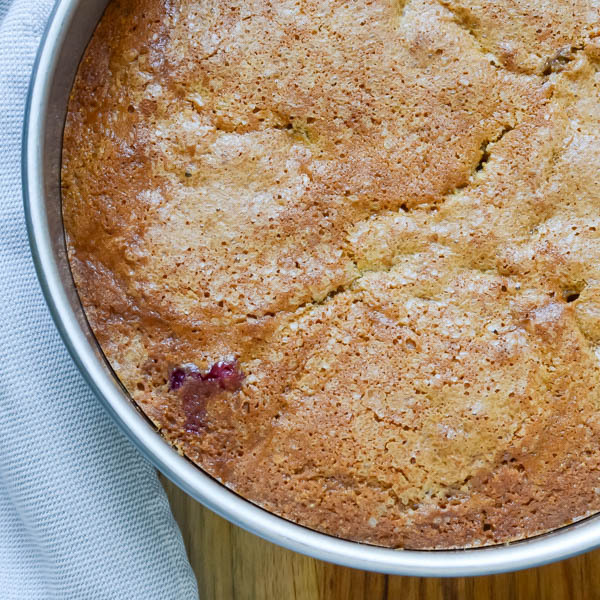 Because when you bake plums in a cake, they transform from a solid, into a puddle of magenta lusciousness. See the purple bliss that’s barely contained in the cake? It’s moist, tender and truly irresistible. 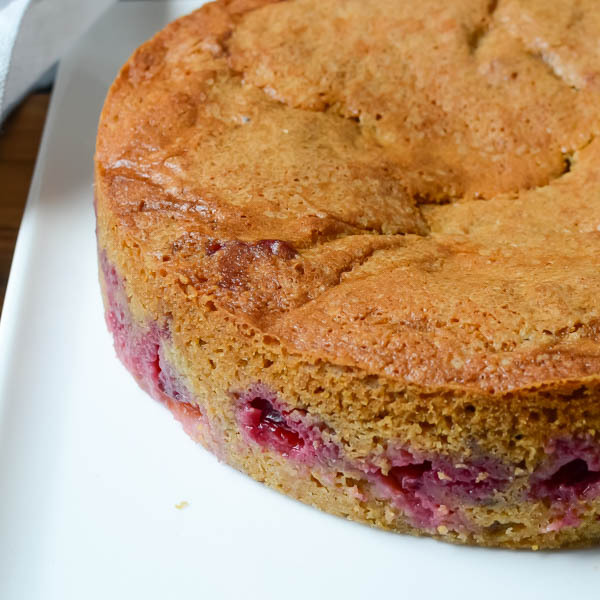 Moist, jammy with a hearty crumb - this delicious plum cake is like summer magic! Preheat oven to 350°. Cut a piece of parchment paper into a 9" round to fit the bottom of a 9" x 2" cake pan. Spray the pan liberally with vegetable spray. Place the parchment in the bottom of the pan and spray again. Set aside. 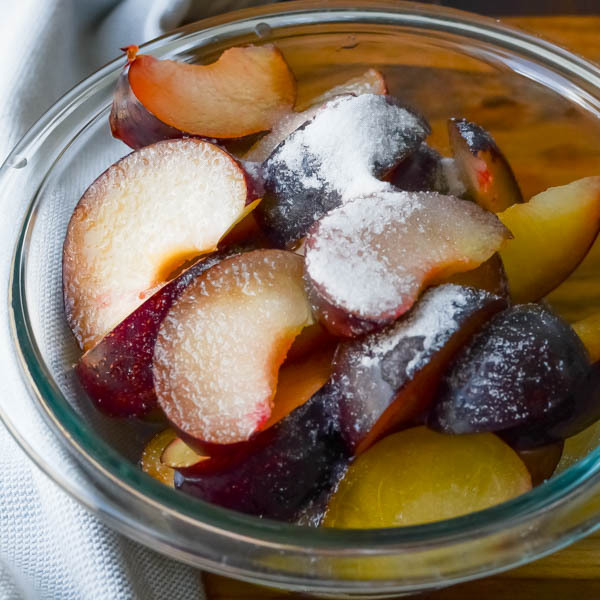 Slice the plums into 6-8 wedges each and transfer to a bowl. Sprinkle with sugar and toss to coat. Set aside. 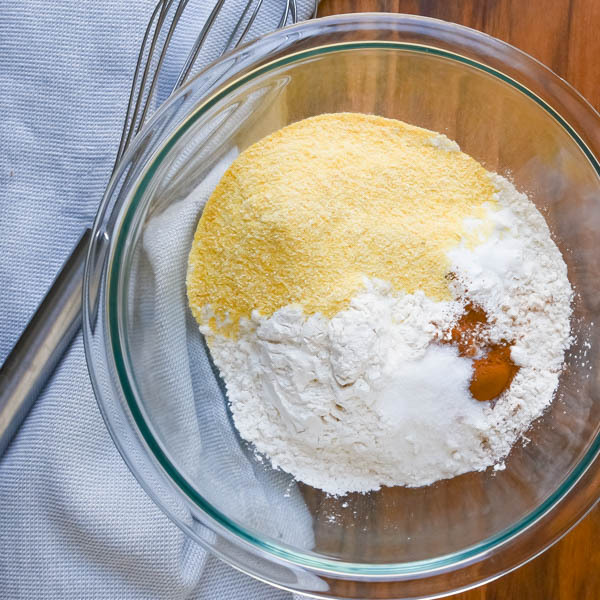 In a medium bowl, combine the flour, cornmeal, baking powder, baking soda, salt, and cinnamon. Whisk to combine and set aside. 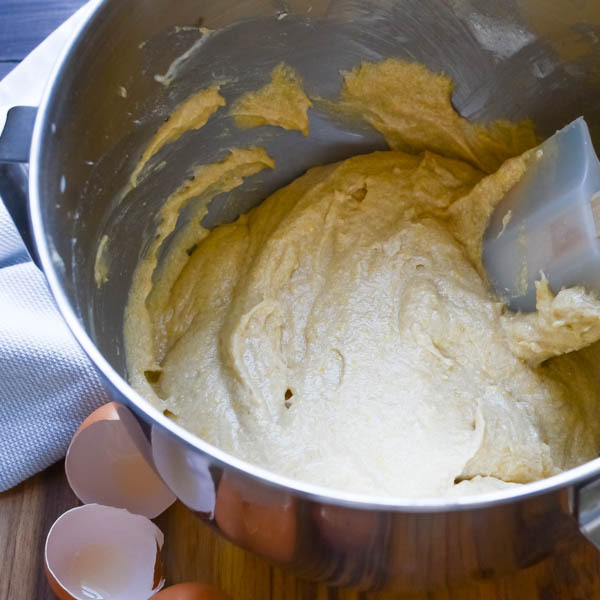 In a large mixing bowl beat the butter, sugar and brown sugar until creamy - 2-3 minutes. Add eggs one at a time, beating each one in before adding the next. Add the vanilla and mix to combine. In two additions, alternate adding the flour and buttermilk to the sugar mixture. Don't overmix. Spread 2/3 of cake batter evenly in the prepared pan. 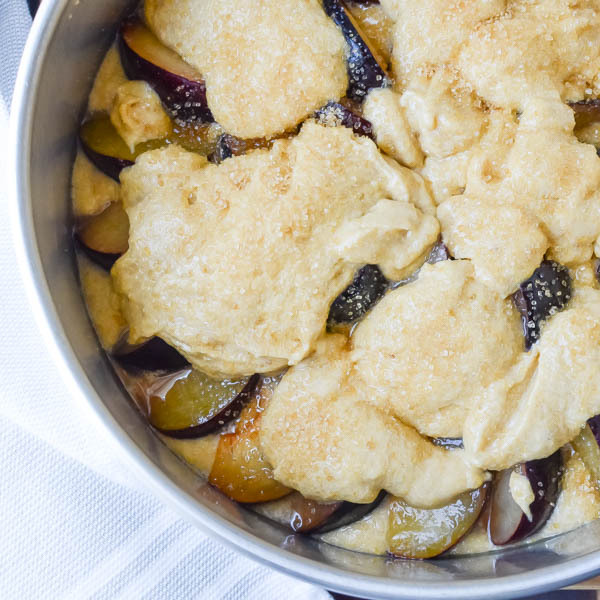 Arrange the plums in concentric circles starting at the edge and working your way around the pan. Dollop the remaining batter over the plums (it doesn't need to completely cover them). Sprinkle with turbinado sugar (if using) and bake for 50-60 minutes or until a toothpick comes out clean. Cool the cake on a wire rack until it reaches room temperature. Carefully turn the cake out onto a plate and flip it over so the top side is up. Serve with whipped cream or a scoop of vanilla. 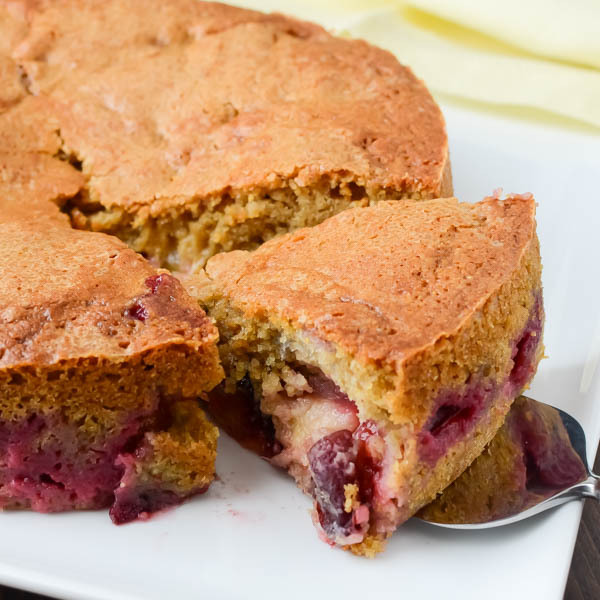 Plum cake is totally new to me, your pics say it All -just mouthwatering saving your recipe and off to get some plums. Great use for all the plums I have! thanks for the recipe! 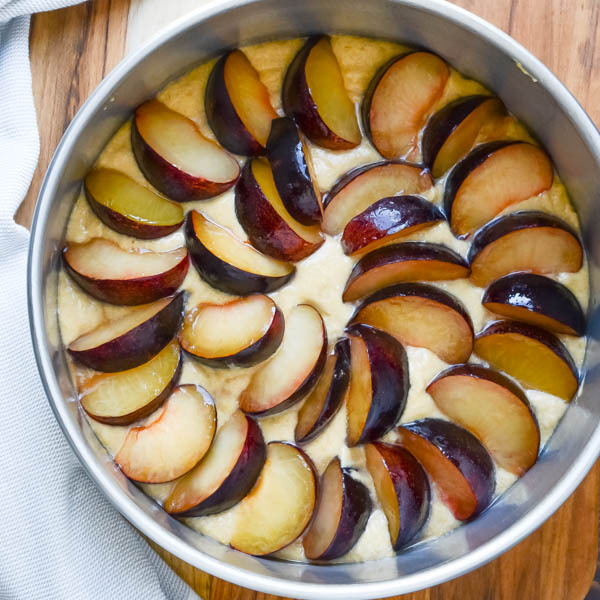 This looks like it will make the perfect summer breakfast cake, and the plums are looking so good at our farmers market right now, love this! Glad you like it, Sue! Yes the plums at the market are perfect for this right now! I’m not one for making fancy, elaborately decorated cakes either, and anything that straddles the coffee cake – cake line is right up my alley! 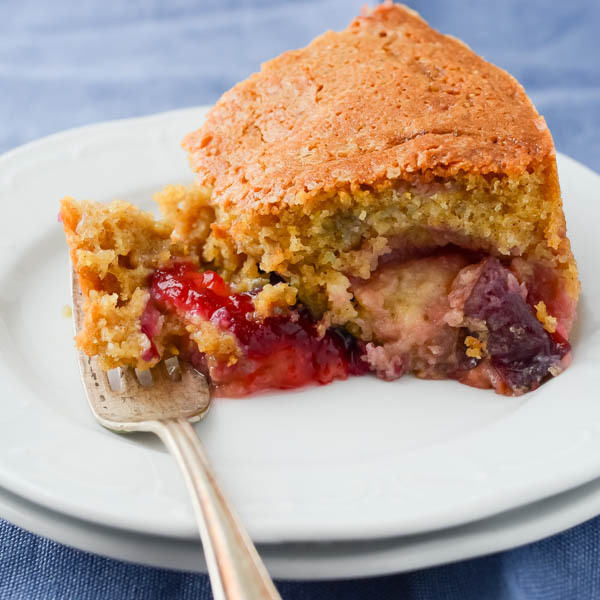 Never baked with plums before, nor cornmeal. Must try! I think you’ll enjoy it, Tina! 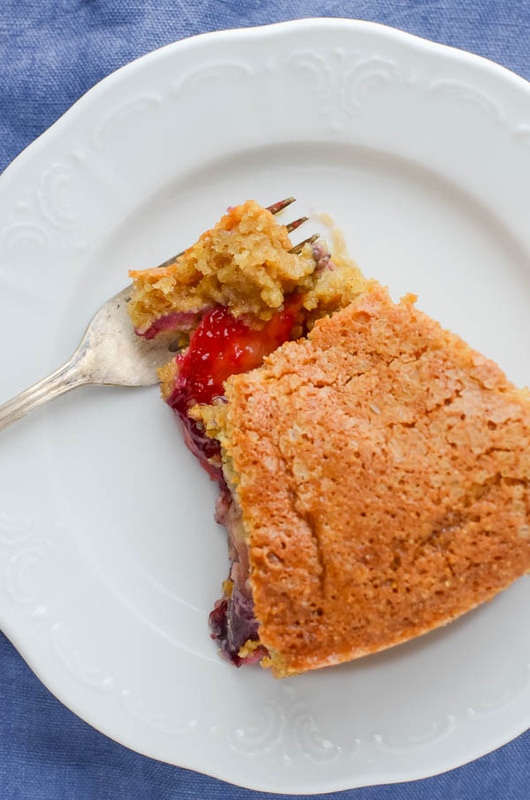 I do love a cornmeal crust and this is the perfect use of plums, can’t wait to try this. this looks deliciously light and fluffy! I am saving to try soon, thank you!